What Does an Electronic Records Archivist Do? Do you still work with 3.5-inch diskettes? 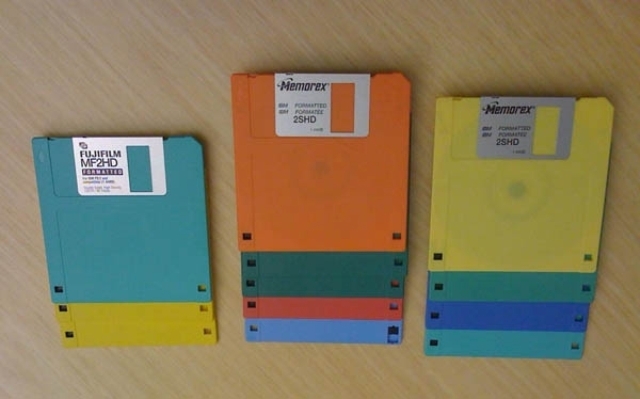 How about 5.25-inch floppy disks and Zip disks? I do. As an electronic records archivist at the Smithsonian Institution Archives, I spend most of my time working with digital information to help ensure it will be accessible in 5, 25, or even 100 years from now. Born-digital materials arrive at the archives in a variety of ways (CDs, DVDs, diskettes, file transfers, etc.) and categories (images, text, audio, video, websites, etc). I am responsible for transferring these digital records—which can include correspondence, spreadsheets, drawings, and other items, some of which never existed in paper form—to our secure servers and preserving them for future use by researchers and staff. 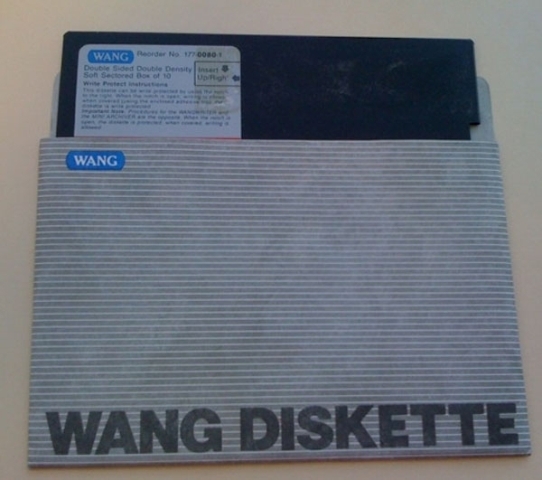 At the moment, I am working on a collection that includes forty-nine 3.5-inch diskettes and five Wang floppies. On the diskettes are files that were created in the late 1990s: contracts, checklists, and important records about past exhibitions. Using some of the older, in-house equipment we have, I was able to open and view the files on these diskettes, conduct virus scans, and copy the files to our system. Additional processing that needs to be done will include converting their content into standard digital preservation formats (usually ones that are non-proprietary or open and widely used) whenever possible. As I go through the files on these diskettes, I use a variety of digital preservation tools to help me determine if a file is a photo or text in a specific word processing program. In the future, these digital records also will be migrated to even newer formats, as necessary, to insure that important archival information remains accessible in the future. All of the steps that I take in that process have to be documented to ensure the authenticity and integrity of the records. The original files from the diskettes or other media are always retained as well. Both the original and converted digital files also will be regularly backed up and extra copies of them will be made, for safety’s sake. Sometimes, though, even if we’re able to successfully copy the files to our server, we are not always able to access them because the software necessary to do that is no longer available or the files have become corrupt. Software and format obsolescence: A WordStar word processing file from 1991, for example, require us to use a specialized converter to read that file today. Even WordPerfect files from just 12 years ago will look slightly different when they’re opened in the latest version of WordPerfect. Media obsolescence: While we have an operational 5.25-inch floppy disk drive, for example, some floppies cannot be read because of the way they were made and/or stored. This is true of all media, from 3.5-inch diskettes to DVDs to USB drives. Hardware obsolescence: Today, a 3.5-inch drive needs to be special ordered because most PCs no longer come with that equipment. CDs/DVDs are supposed to last decades, but how long will the equipment used to play them be around? That’s why our work—which involves taking action with electronic records now—is essential, rather than waiting until a research request comes in years from now, when extracting material from the original disk may be difficult, or no longer possible.